Seasons come and go or 'fashion is made to become unfashionable' as Mademoiselle Chanel used to say. 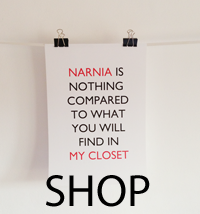 However, we cannot deny that there are some things that we constantly crave for. I am not talking just about a pair of the flawless Prada sunglasses or a Chanel bag, but about the food (Oh! The macaroons, the stawberries!! ), the smoothies (the Starbucks logo is always on my Tumblr dashboard) , the Iphone bunny case and the famous fashion magazines. This series will present all of them, one by one, because I have noticed there is always an artistic photo of the things mentioned above on the social networks. They have become cliches, and when we acquire one of them we are so enthusiastic that we pay the greatest attention to their condition (after snapping a photo and posting about it on Instagram/Facebook, of course!). Call me shallow, but my coffee tastes better when I have it in my Starbucks mug. I don't know if it's the visual impact it has on me or the psychological result of good advertising, but I just see these cliches as little things which are meant to make my life brighter! I will start with my greatest love: the Vogue issue. Founded in 1983, it has revolutionized the fashion industry and it's the perfect publication to inspire you. 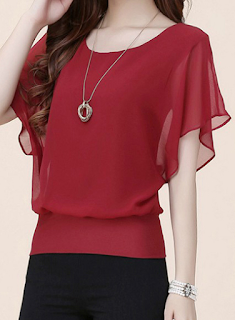 And it's not just the trend report or the editorials that we love, but also its attractive aspect. The shiny cover, the infinite thickness, the profound shades, everything makes each issue appear magical and you as the fortunate owner of fashion's deepest secrets. We all cherish and love at least one issue, but fashion bloggers are also able to share this with the whole world. 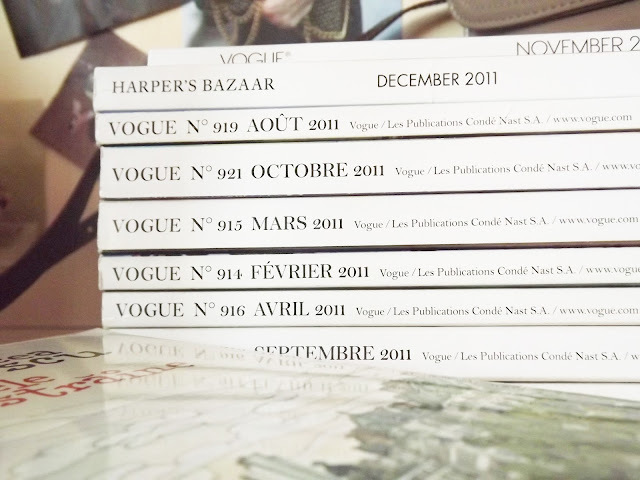 Now, magazines are not only regarded as an oasis of knowledge and inspiration, but also as the ultimate accessories. Winter is more whimsical when you have a Paris Vogue to learn some French vocabulary and read the interview of valuable people. 2. The pile : You have a collection of magazines? That's great! Make sure you include them all in your picture and try to also be creative. A flower near them or a statement necklace matching the first cover would be divine! 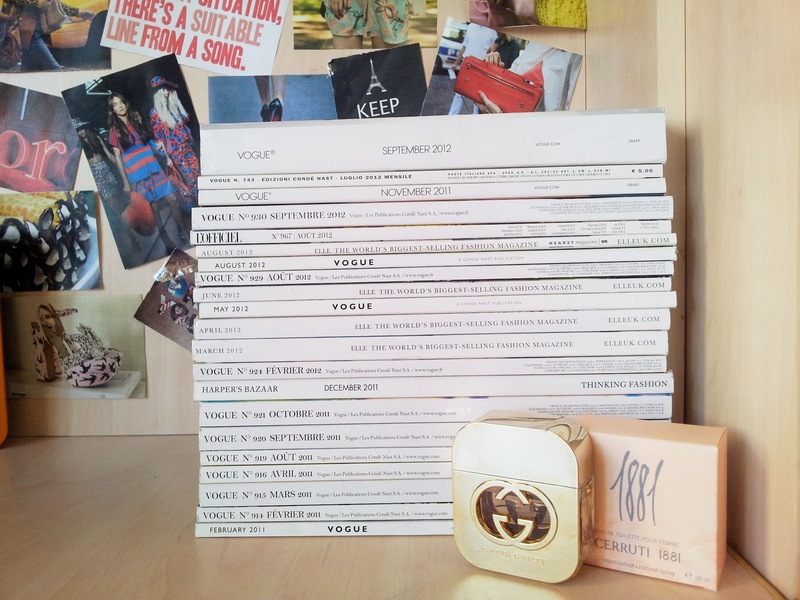 Moreover, you can even try some unique ideas like the nightstand made out of magazines issues that Chiara Ferragni from 'The Blonde Salad' posted on her blog a few months ago. I love fashion magazines not just because of the trend reports and flow of inspiration but also because you learn a lot about the people behind this incredible industry, stuff which you can't usually find online or in any TV shows. 3. The replacement: You have a plain bag/clutch or forgot completely about the purse when you went out to take shots for your blog? No problem, a magazine should do the trick! Just pose with it as if it's the prettiest accessory and if it somehow contrasts with the outfit, then it will all be spectacular! Back in July- Pitti Palace, Florence, I miss it so much! 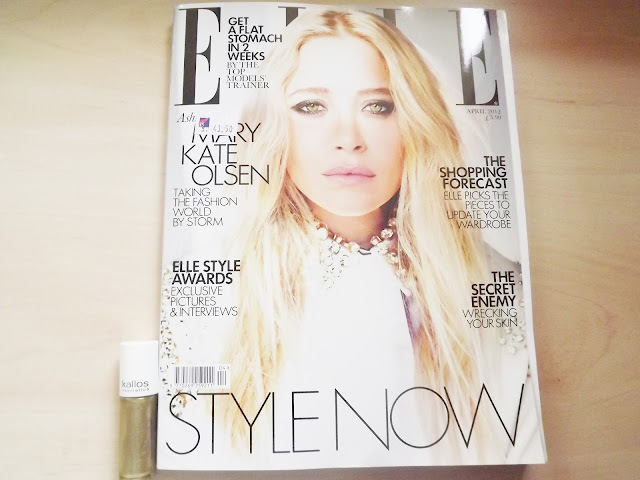 I love Elle equally as much! I hope I helped, stay tuned for the other posts , because these cliches are things that not only you appreciate and adore, but also your readers and they deserve to daydream after visiting your blog/profile! Remember to always pay attention to the details, because this shows you commitment and your passion for what you do! All the photos from this article are mine, you can find most of them in the blog's archive. Great collection! 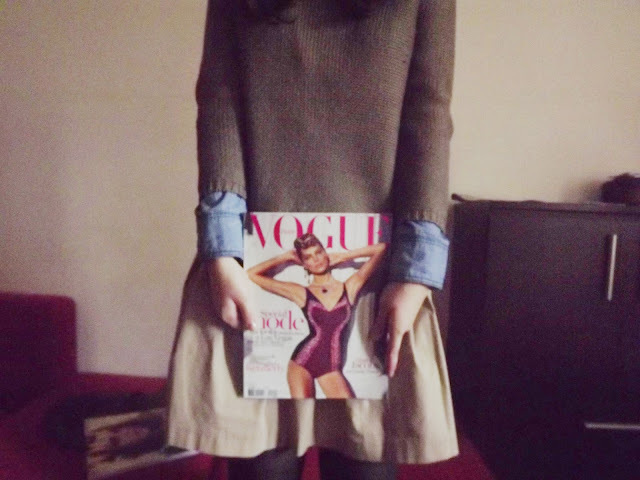 I also like Vogue! Wow. Great collection you got.